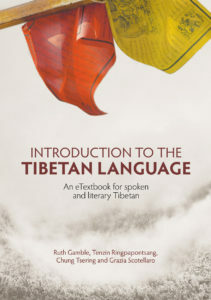 This textbook includes twelve multi-media introductory lessons for Tibetan learners. There are sections that explain how to write and read the Tibetan alphabet, how to write and read Tibetan words, and easy colloquial and literary sentences. Each section includes a dialogue that is performed in videos and written down, written explanations of different aspects of the language, videos that demonstrate how to write, read and pronounce Tibetan, and exercises that will help solidify what you have learned. The book also includes links to on-line sources, including flashcards to aid vocabulary building. Part 1 is an introduction to reading and writing Tibetan. Part 2 builds on these skills and helps Tibetan learners develop conversational skills. 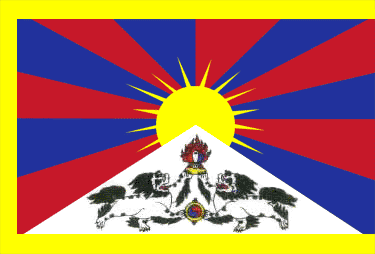 Part 3 introduces literary Tibetan by building on the commonalities between it and conversational Tibetan. Here is everything you need to learn the world’s highest language.